We all know how annoying it is to deal with plumbing headaches. 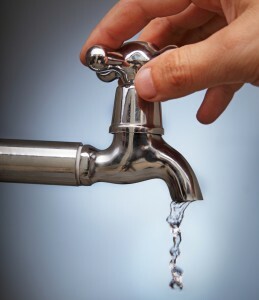 After all, leaky faucets and toilets that never stop running always seem to crop up at the worst time when you don’t have the opportunity to fix them right away. Unfortunately, oftentimes you will run into bigger headaches down the line when you let small problems go unnoticed for weeks and months at a time, which can cost you serious money. Learn more about why plumbing problems should always be handled immediately in this week’s blog, below. Keeping up with plumbing maintenance now means fewer headaches down the line. So you’ve got a leaky faucet. It doesn’t seem like that big of a deal, right? After all, it’s only losing a few drops of water so it won’t make a difference if you don’t get around to fixing it for a little while. First of all, you’ll have to pay for all the water that is wasted, and it’s probably a whole lot more than it seems: the EPA estimates that a single leaking faucet can waste over 10,000 gallons of water each year! This is money that you are literally flushing down the drain, so it pays to take care of it right away. Wasted water isn’t the only concern. A leaky faucet can also lead to the growth of mold and mildew which, if allowed to multiply unchecked, can be incredibly costly to remediate. To prevent costly headaches and plumbing nightmares, you should always be sure to contact your trusted plumber at the first sign of a problem. Your plumber will be able to determine whether your seemingly small problem is actually a symptom of something much bigger and, if it is, they will be able to take care of it efficiently. Now that’s a smart move. This entry was posted on Tuesday, April 12th, 2016 at 5:44 pm. Both comments and pings are currently closed.